There are a variety of search options below the FIND A HOME tab in the site menu You can save your favorites, see the location on the map and much more. 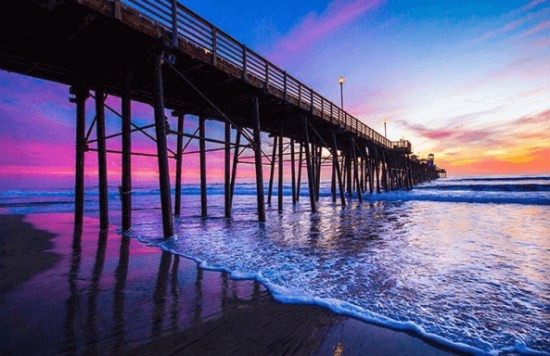 This website's PHOTO SLIDER features homes available in designated Over 55 communities in and surrounding Oceanside. We will be adding other types of homes often popular with older adults, such as single level homes, homes on a golf course, ocean view homes etc. You will be able to access these under the FEATURED PROPERTIES TAB in the menu. This site features homes offered for sale by all agents and brokers and uses the same search as real estate agents have access to. If you would like to speak with an experienced agent that specializes in working with the Over 55 client please call (760) 802-2798 and we will set up a private showing of any homes you would like to see as soon as possible. There will never be a fee for you to have one of our full time professional realtors represent you. NOTE: When you call the listing agent (the agent whose name and number are on the For Sale sign) you may not be aware that they are only permitted to tell you what the seller wants you to know - because their fiduciary duty is to the seller. We represent only you, the Buyer, and your best interests throughout the showing, negotiation and preparation of the purchase agreement and other required legal paperwork. And, once your offer is accepted by the Seller we will guide you through the inspection, contingency and loan approval process all the way to a smooth close of escrow. That is what we do and we are good at it!